Publicity Photo : Friday Nelson Commonwealth Attorney Daniel Rutherford released info on guilty pleas in a recent case. 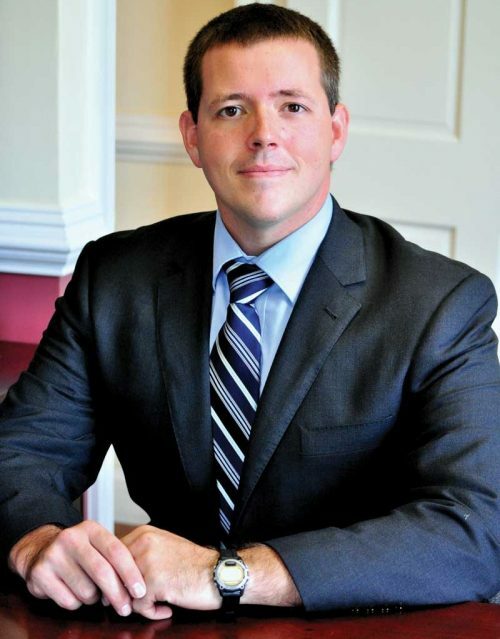 “​Friday morning Nelson County Commonwealth Attorney Daniel Rutherford announced that on October 31, 2017, Laura Grado-Ortega pled guilty to one count of Racketeering in the Nelson County Circuit Court. This was the first time a defendant has been charged with and found guilty of Racketeering in Nelson County. From March 2016 until September 2016, Laura Grado-Ortega facilitated shipments of more than two pounds of methamphetamine from Mexico into Nelson County and wired proceeds from drug sales to individuals in Mexico. Connected with Grado-Ortega, another defendant, Alma Silva, pled guilty to one count of distribution of more than 100 grams of methamphetamine on October 6, 2017. From January 2016 until September 2016, Silva facilitated the distribution of methamphetamine to individuals in Nelson County and wired the proceeds from drug sales to individuals in Mexico. The sentencing for Laura Grado-Ortega and Alma Silva will occur in the early part of 2018. ​These charges stem from a lengthy investigation by the Skyline Task Force, which is composed of investigators from the Nelson County Sheriff’s Department, Waynesboro Police Department, Staunton Police Department, Augusta County Sheriff’s Department, Virginia State Police Bureau of Criminal Investigation’s Appomattox Field Office, Department of Homeland Security and the U.S. Drug Enforcement Agency.